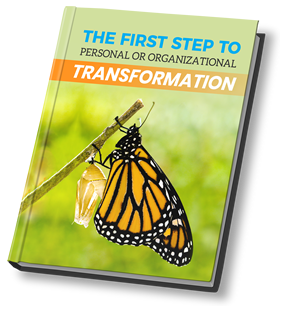 Guiding personal, team, leadership and organizational transformation. Are you going through a big change? Do you have a specific goal, but can’t find a way to achieve it? Are you stuck, trying to make a decision? Does your team need to work better together? Do you want to become an inspiring leader, who builds a culture where people can thrive? As your coach, I’ll help you discover blind spots that may be holding you back, and find ways to rise above them. We’ll expand your options by finding them within yourself. I’ll always remind you of your strengths, and we’ll work to understand how overusing some of them could hold you back. I’ll help you navigate change, conflict, and places where you’re stuck, and I’ll be your thought-partner to think through choices and decisions. What do you want to make Appear? I’ll guide you to clarify your goals so you can focus your thoughts and energy on actions that will bring them to life. By clearly understanding your goals you’ll be more discerning and know what choices to say ‘yes’ to. We’ll unlock more of your untapped energy by connecting with what inspires you. We’ll identify the language you’ll use to stay positive and focused. We’ll identify thoughts and activities that stand in the way of achieving your goals and develop strategies for eliminating them. We’ll uncover the limiting thoughts (often unconscious fears) that may be holding you back so you can learn to manage them and discover greater possibilities. We’ll identify what you need to stop doing, say ‘no’ to, and stop tolerating. What needs to be Restored? Coaching is very positive and empowering. You’ll feel fulfilled when you appreciate your strengths and good qualities. You’ll be inspired by the possibilities that open in the process. You’ll feel hopeful when you develop ways to transcend your limitations. Getting powerful results requires courage to explore yourself, humility to consider challenging feedback, vulnerability to acknowledge your limitations honestly, and persistence in changing your thinking and behavior. I create a safe space for you to become your best self. If you commit to wholeheartedly engaging in coaching, your rewards will be immense – professionally, and personally.